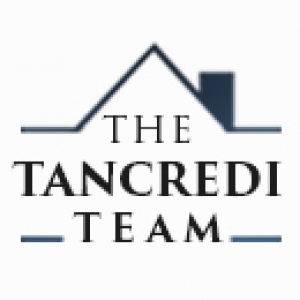 The Tancredi Team really came through on all their promises in the sale and purchase of my homes. They were professional, knowledgeable, and available whenever I needed them. Thank you for making this a positive experience. Our family would like to express our appreciation for your help in selling my mothers house while we went thru a difficult time. Your experience was evident as you correctly showed caution with some of the potential buyers. Thanks for your patience in explaining things, and for getting us such a good price. Hope your available if we ever need you again. Thanks, Robert for your excellent service! Finding the right home in the right neighborhood with the right price is not an easy task, but you did it! We were confident that we will find the home that was just right for us with your direction. Really, not an easy task to get a house for a deal in what's really the sellers market. Truly, a job well done! Especially, as the first time buyers, my wife and I felt secure with the level of commitment serviced in our behalf. Consistent reassurance through out the process really, put us at ease. And not a single detail was left out. A true mark of professional performance! And yes, we will buy or sell our house with you again! No question about it! Thank you once again for your hard work! Rest assured that I will not hesitate to refer you as a very competent real estate agent. You've been wonderful to work with and I wish you much success in your future endeavours.